I was browsing YouTube and watched a video called “Rethink Civilization” by Crash Course. In it, it talks about civilizations built on the flatland compared to those in the mountains. My mind went from mountains to Taiwan. In a recent discussion, the point that Taiwan must capitalize on it’s geographical strengths (mainly talking about Taiwan placed as the unsinkable battleship) came about. In the same line of thought, another one of Taiwan’s unique geographical feature came to mind: mountains. 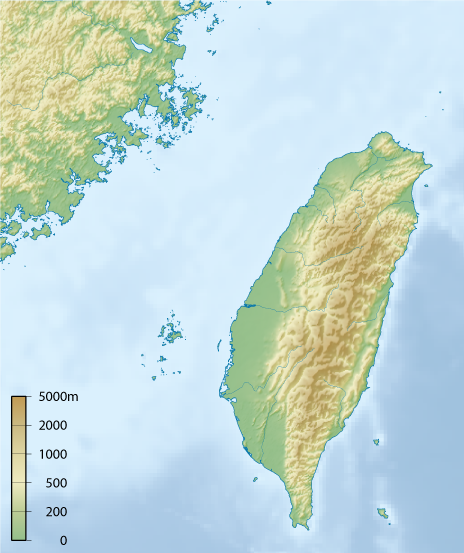 Taiwan is an island in which over two-thirds of it is covered with mountains. One of Taiwan’s greatest indigenous novelties is the high mountain tea. Understanding that this is not a solution to all of Taiwan’s financial issues, I believe that this is an area to capitalized — an idealistic thought that could help improve Taiwan’s internal business, increase Taiwan’s international presence, and decrease Taiwan’s internal conflicts. All of which will have to start with government support. The Taiwanese government can set the minimum cost for businesses to use mountain ranges for tea, vegetables and other uses. This law will help the aboriginal tribes and landowners of the mountain land obtain more money and not lose out to competition because of the standardized minimum price. Such government aid will place increased value onto the mountainous regions, pushing for more native businesses in finding ways to optimize, increase and sustain the productions from the mountains. Younger generations can see this area of opportunity without going overseas and enter the industry of mountain products. More jobs will be created and an already existing industry strengthened. With the increase of production in Taiwan’s mountain products, such products can be advertised at a greater value to the rest of the world. Another Taiwanese mountain product apart from tea are peaches. Instead of looking at just China and Japan for peaches, Taiwan’s Lala Shan peaches can also be known around the world. Taiwan’s tea is starting to become more well-known, but is still largely overshadowed by the massive mountain-sides filled with tea gardens in China. With Taiwan’s most impressive international product being bubble tea, bringing the next level of more sophisticated tea to the rest of the world only seems natural. Along with the mountain products of Taiwan being placed in the spotlight, the culture of Taiwan will also soon follow. All this would need the proper assistance from the government. I would not say this is the solution to solving Taiwan’s economic problems, but it is a secondary plan that is feasible to solve or facilitate with multiple problem points of Taiwan. Furthermore, a lot of these issues can be seen throughout other societies in the world, and the solution might be able to be replicated. Imagine the United States being able to properly integrate native Americans into USA’s leading global status. The mountains are full of treasures; once we dive into looking for a solution to problems in higher altitude, we might be able to help with larger global issues such as ecological preservation for the world.